Larvae of this species can be found on many species of the plant family Arecaceae. Mature larvae to 50 mm long with a pale bluish-green to greenish-grey body; head cream with bands. 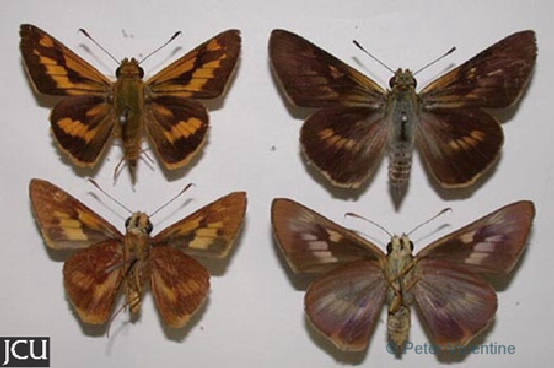 Adults variable from dark brown with orange markings to yellowish brown or purplish brown on lower surface.